Over the last several years, there has been an increase in interest from clinics, nonprofits and researchers wanting to integrate promotores into their work. 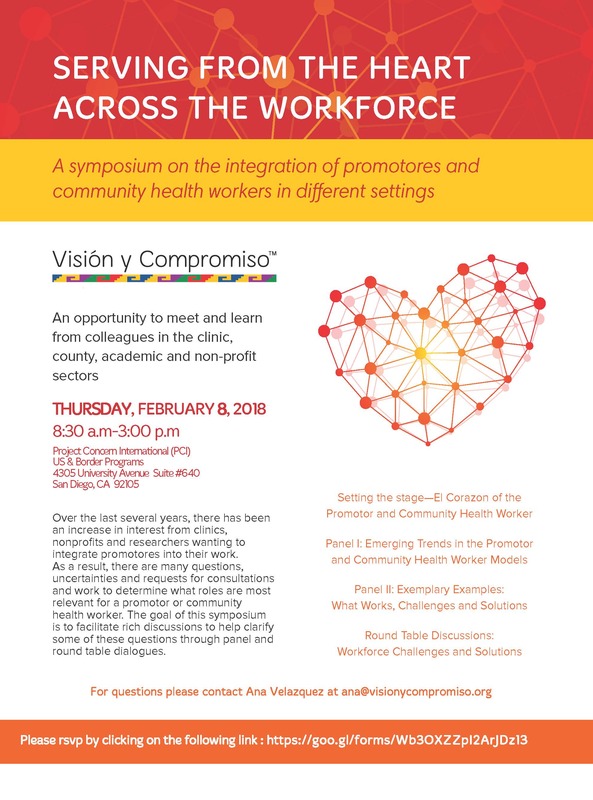 As a result, there are many questions, uncertainties and requests for consultations and work to determine what roles are most relevant for a promotor or community health worker. The goal of this symposium is to facilitate rich discussions to help clarify some of these questions through panel and round table dialogues.